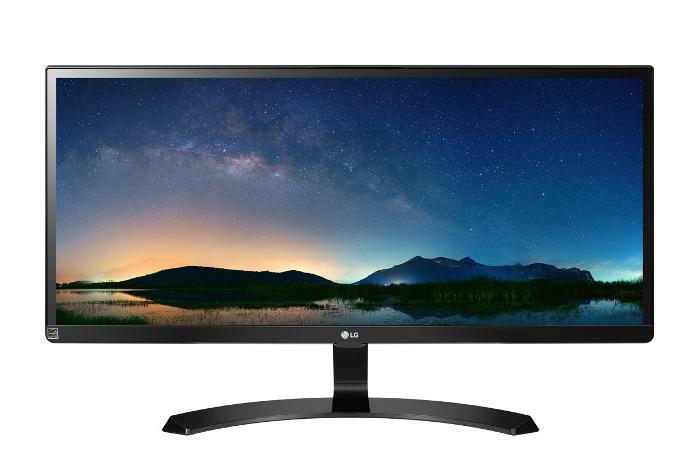 Office Depot has an LG-29WK500-P FreeSync monitor for $179 right now. The Steam summer gaming madness is in full swing, so if you need a better monitor to game on, Office Depot has you covered today, with the 29-inch LG 29WK500-P FreeSync monitor for $180. That's about $80-$90 cheaper than the prices you'll see on Amazon right now for 29-inch LG UltraWide displays. It's so low, in fact, that Office Depot is limiting all purchases to two monitors at this price. This is an UltraWide IPS display with 2560 x 1080 resolution, and a 5 millisecond response time. It also has a 178-degree viewing angle, and LG's Screen Split 2.0 utility to help you divide up all that screen space between windows when you're aren't going full screen. The monitor has two HDMI ports, and there are also two integrated speakers if you want to use this with a console. LG's monitor is all about gaming with a black stabilizer to improve detail on darker scenes, and several presets for certain types of games such as real-time strategy and first-person shooters. The key gaming feature, however, is AMD's FreeSync technology. If you've got a compatible AMD Radeon graphics card it can sync up with the monitor to reduce stutter and screen tearing. The end result is a much smoother gaming experience.